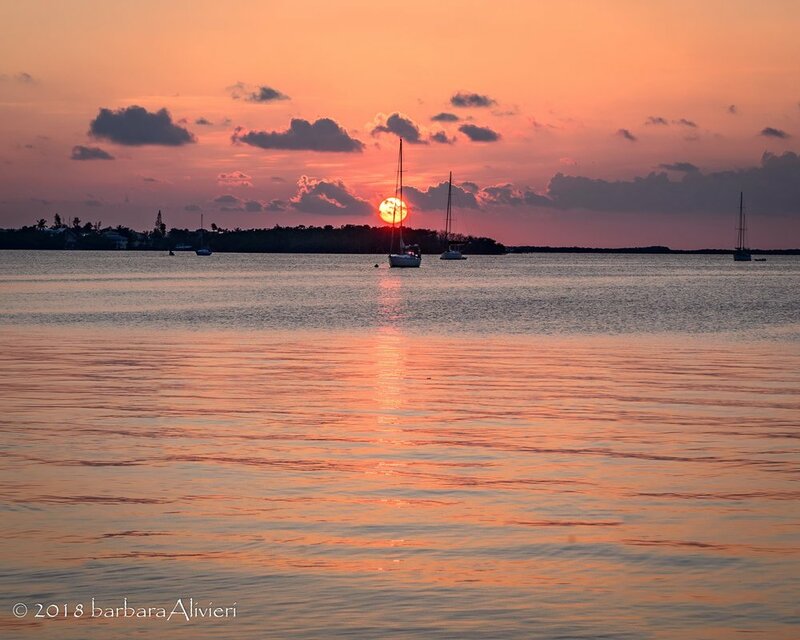 Last weekend the South Florida National Parks Camera Club had another field trip to Key Largo for the sunset. 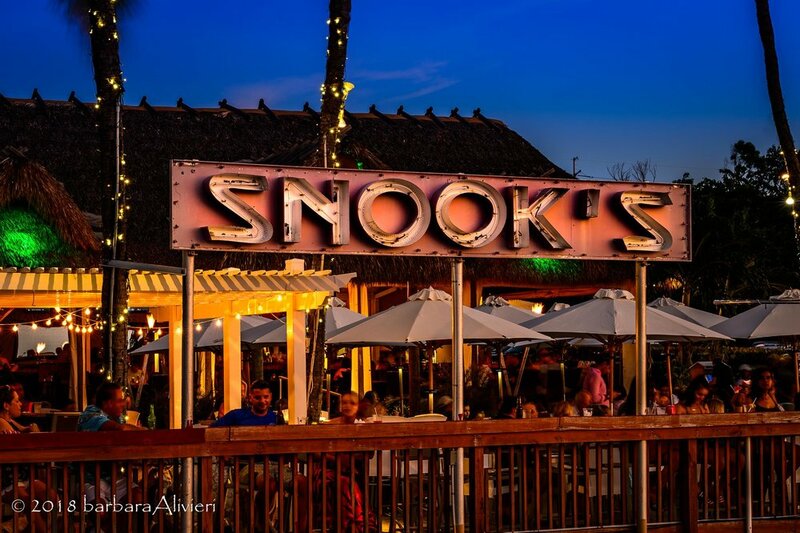 This time we went to Snook’s Bayside and wow, the sunset was spectacular. It was the quintessential ‘big red ball’ sunset. The only disappointment was that there were WAY too many people there. I wasn’t able to move about like I would have liked to capture other compositions. Lots of tourists taking selfies, brides to be, moms to be, you name it, they were there. And they didn’t give one crap about those of us with big cameras and tripods. Can’t blame them I guess. Note to self, go down on a weeknight. I got a room at the Key Largo Inn. Wasn’t a top rated motel for sure, but it did what I needed. It was nicely decorated, although the structure was old, and wooden, the AC worked very well and the bed was comfortable. TV had my Law and Order (which after I cut the cable cord, I never watch) so what did I care?! I was only there to sleep. I’ll definitely stay there again to save some $$. Oh, and it had a pool and was close to all the Key Largo had to offer. Sunset was beautiful. I tried shooting something other than the big red ball, but conditions didn’t lend itself to great conditions there. Not bad, but not what I expected. Snook’s Bayside, from the jetty. From the jetty I snapped this one. Very fun place, albeit a bit pricey. But hey, it’s the keys! About 15 minutes before sunset, docks. Sun reflecting on the side of the catamaran. I was hoping for some more sun and color reflection in the clouds, but it just never happened. My favorite shot. Sun setting with the sailboats and the sky a beautiful pink/orange hue. Can’t get much better than that! After the sun set I waited around for something spectacular but it didn’t really top what I had just seen. I shot a few more, but nothing worth of showing here. Most of us went in and had dinner. Truffled lobster mac and cheese was awesome! I even had a cold beer, nothing too fancy, nothing better than Milwaukee’s finest. LOL Hey, it’s what I know. And that was it! I was going to get early Sunday and shoot a sunrise from a strange location, but like the Key Largo trip from July, it wasn’t in the cards. I woke early, eyes burning from tired, and said, naaaaahhhhh, and back to bed I went. It was probably a beautiful sunrise, but I had a beautiful couple of hours more sleep. And I can always come back for sunrise.